Helen Fall teaches private lessons on viola and violin, and coaches chamber music in her home studio in the Fairfax/Annandale area of Northern Virginia. Mrs. Fall nurtures each student to rise to his or her greatest potential. Using her own method of teaching, loosely described as "traditional," Mrs. Fall tailors lesson assignments to develop the individual skills of each student. In addition to solo repertoire, all students study scales, left hand technical studies, bowing technique, etudes, and music theory. All students are coached in performance skills. In addition to performing in monthly Studio Performance Masterclasses, Studio Recitals in the winter and spring, and the Annual VFMC Spring Festival, each student is entered into area music club/association recitals several times per year. Selected students are invited to perform in area competitions. Students preparing for auditions of any kind (college entrance, district, regional, all-state, youth orchestras, etc.) receive formal coaching to maximize success. Audition coaching includes training to improve sight-reading skills. Mrs. Fall’s students have been accepted to National High School Honors Orchestras, Virginia and Maryland All-State orchestras, Virginia Senior Regional orchestras, and VBODA District orchestras. At each level, students from the Fall Studio have earned seats as concertmaster, principal 2nd violin and principal viola. Mrs. Fall’s students have also won numerous awards in area competitions. Former students from the Fall Studio have gone on to pursue undergraduate and advanced degrees in music performance and music education at major institutions including the Jacobs School of Music at Indiana University, Eastman School of Music, Peabody Conservatory, Cleveland Institute of Music, the Thornton School of Music at University of Southern California, University of North Texas, Belmont University, Case Western Reserve University, and James Madison University. A number of former students have gone on to careers in music performance, music education, composition & arranging, music business, studio recording, and music therapy (see links on sidebar). Mrs. Fall is actively engaged as a freelance teacher/coach in schools and youth orchestras throughout the DC metropolitan area. Mrs. Fall was co-founding Program Coordinator and coach for Chamber Music of Arlington, a summer program for strings and piano. From 1986-1994, she was engaged as a chamber music coach for the Arlington Public Schools Gifted and Talented Program. From 1986-1988 she served as Program Coordinator of the Orchestral Training and Educational Outreach Programs for the Arlington Symphony Orchestra. 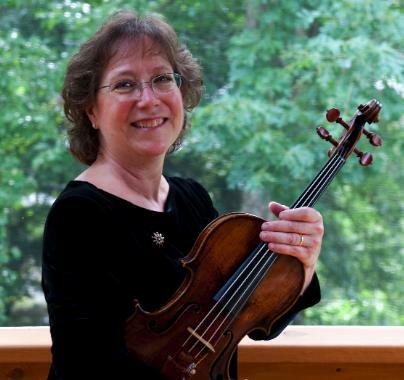 In 2013, Mrs. Fall was a member of the Virginia/OSU String Teacher Workshop Faculty, training teachers in Beginning and Intermediate Viola Teaching Methods and Playing Skills. Click here for more information. Currently, Mrs. Fall coordinates the strings for Fairfax Symphony’s SCORE program, which brings symphony musicians into the schools to coach students in sectional and full orchestra rehearsals. Active as a member of Virginia String Teachers Association (VASTA), Mrs. Fall served on the board from 2004 to 2010, serving as President from 2006 to 2008. Mrs. Fall has been honored to receive awards for her work in music education, including VASTA’s Distinguished Service Award (2008), the National State Chapter Leadership Award from the American String Teachers Association (2009), the Barbara Serage Award for Music Education from the Fairfax Symphony (2010), and the VASTA award for Outstanding String Teacher of the Year (2010). Violinist, Bobby Chase, and the band Humming House are making it big! Here's aHuff Post article featuring the band. Michael Bialas puts the band on his list of "Must-See Acts of 2015." Violist, Diana Wade, in her graduate Recital at USC Thornton School of Music and in a video with Argus String Quartet. If you watch this video of the song "Shia LeBeouf,"you'll see the Argus Quartet -- Diana even gets a cameo speaking role! The Argus Quartet was the Fellowship Resident Quartet at the Yale School of Music. They made their debut performance at Carnegie Hall on Oct. 25, 2015. Diana is now a free-lance violist and teacher in Los Angeles. Former viola student Stanley Beckwith with Chad Schwartz and Triforce Quartet on tour in Seattle. The crowd goes wild! Violinist, Eleonore Denig, and the band Milktooth. A graduate of Belmont University, Eleonore is a freelance violinist, composer and arranger based in Nashville. Violist, Matt Negrin, performing with Chad (see above) in TriForce String Quartet at Smithsoninan Institute's opening of the exhibit, Video Games. Matt is a freelance journalist who has written for Diane Sawyer, Politico, and The New York Times. Matt traveled the world doing research for a book he is writing about soccer fans. Most recently, he has been a political reporter for Bloomberg News. Violist, Patrick Miller performing Hindemith Sonata, Op. 11, No 4 in his Junior Recital at Indiana University. Now an IU grad, Patrick is currently pursuing a Graduate Degree in Viola Performance at Cleveland Institute of Music, in the studio of Robert Vernon.